Guess who’s just opened their first branch in Cairo? Yes, it’s the iconic breakfast spot in Dahab, Ralph’s German Bakery, which we decided to go and see how it fares in the capital. Located at Road 9, Maadi, the place is divided into an indoor and an outdoor area. Other than a single small table, the indoor area has a beautiful linear display that shows all of their baked goodies, a coffee corner and two long blackboards hanging on the walls with the menu written on them, while the outdoor area has wooden chairs and tables and a long couch-like seating. Despite the latter’s beautiful and cosy ambiance, the flies and cats were a bit annoying. Starting with savoury items, we opted for Full English Breakfast (65LE), Frankfurter Sausage Sandwich (40LE) and Quiche Lorraine Chicken (25LE). Comprising a colourful variety of items in one platter, Ralph’s German Bakery’s Full English definitely lives up to its name. 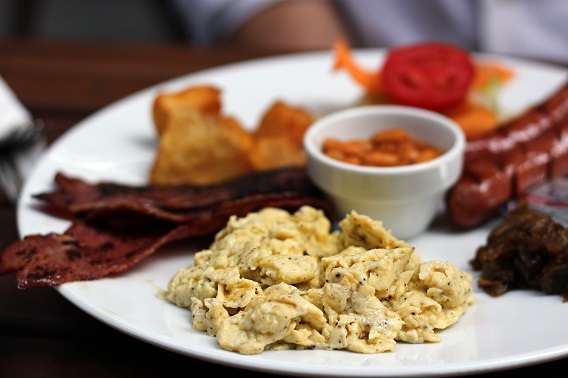 Served with butter and freshly-baked white bread, the platter consists of scrambled eggs, hot dog, beef bacon, baked beans, mushrooms mixed with caramelised onions and green salad. While the scrambled eggs, which could be the main attraction to some, were dry, we loved the earthy combo of the mushrooms and onions, the deliciously crispy bacon, the perfectly-seasoned baked beans, the well-cooked hotdogs and, above all, the perfectly-roasted potato cubes, which was a nice surprise item, since it wasn’t mentioned on the menu. As for the Frankfurter Sausage Sandwich, it was a bit of a letdown. 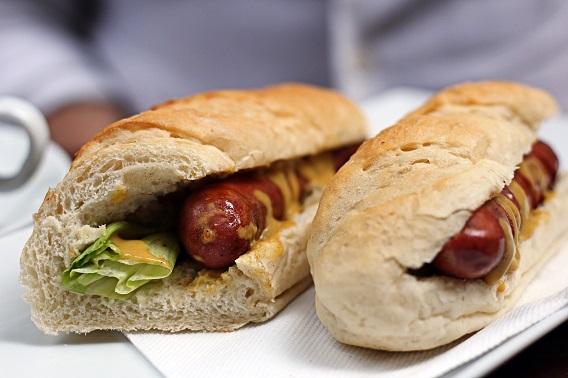 Although the white baguette was very soft with a terrific crust and spot-on chewiness, the sandwich, as a whole, is but a simple hotdog sandwich with some lettuce and mustard. On the other hand, the Quiche Lorraine Chicken stole the show with its outstanding flavours. 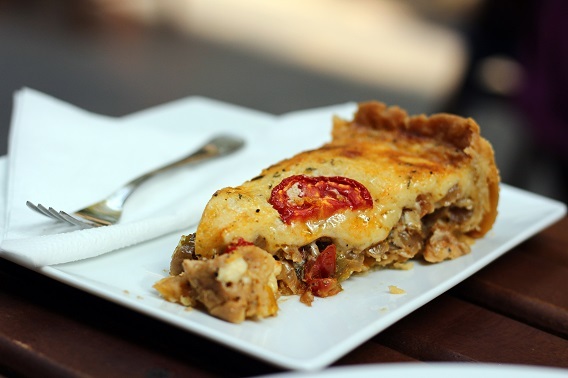 With a filling of chicken, sautéed onions and peppers that boasted a Fajita-like flavour and a beautiful crunchy crust; the Quiche Lorraine Chicken is definitely a must try, especially that it was rich without being too heavy. Moving to the desserts, we were looking forward to trying their cherry puff pastry, which is a hybrid of croissant and feteer, but it wasn’t available at the time of our visit, so we opted for Berliner (18LE) and the Bavarian Cherry Nuddel (25LE) instead, alongside a cup of Hot Chocolate (18LE). 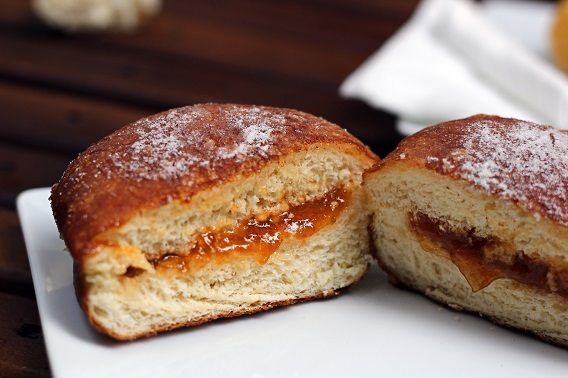 It’s no surprise that the Berliner is their best selling item; we enjoyed every bit of the sugar dusted, soft and fluffy donut that was generously filled with apricot jam. Almost of the same structure, but with a slightly denser and chewier dough, the Bavarian Cherry Nuddle boasted a tasty sour cherry filling, which was strangely lying at the bottom, instead of being at the centre, but that doesn’t mean that the Bavarian Cherry Nuddle wasn’t a highlight in our visit. With so much more competition here in Cairo, it’s still to be seen whether Ralph’s German Bakery can be as popular as it is in Dahab. 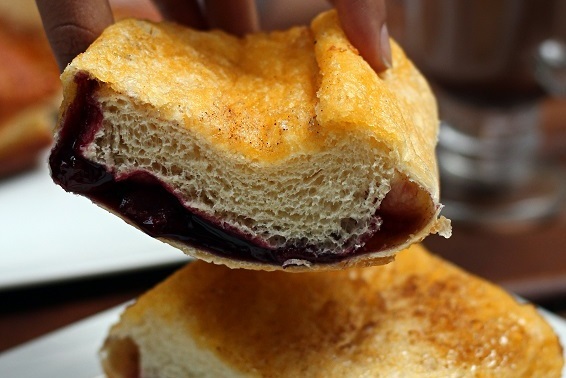 But if you give their quiche and baked goodies a try, you’ll definitely understand what all the fuss is about. Ralph's breakfast ends at 12 pm. The desserts, as well as the Quiche Lorraine Chicken, are must tries. Flies and cats in the outdoor area.